We’re just about the first folks you see when you walk into Lees Market … a place where people love to start their day, come in for lunch, take a break, and just hang out and chat. It’s fun and it’s happening, so why not work us into your day? Whether you’re stopping in for a quick coffee, hanging out to chat about the day’s events, or enjoying a full cafe meal while using our Wi-Fi on your laptop, The Blue Lobster Café staff is waiting for you. We love our personal interaction with everyone who comes in to visit. Gabbing with our many regulars, getting to know new faces, and finding out what goodies interest you are what keep us going! You’ll see plenty of smiling faces and teamwork behind our counter. We’re pretty darn approachable, so don’t be shy about telling us how we’re doing and what we can do to make your visit special. The very best ideas come from our customers. 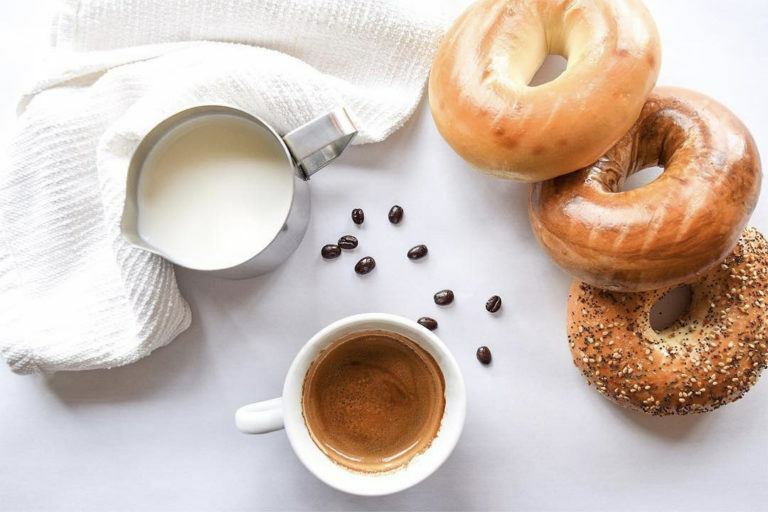 Our menu’s littered with items from people saying, “You oughta try this!” Whether it’s your morning coffee, espresso, cappuccino or your afternoon sandwich, we’ll make sure it’s exactly the way you want it when you want it. Cabot™ Salted Butter. Since 1919. Owned by our farm families in New York & New England. Natural creamery. 4 quarters. USDA. US grade AA when graded packed under inspection of the U.S. dept of agriculture. Officially graded. Your support means the world to cabot. Owned for generations by proud, hard-working farm families, Cabot is a northeast co-op that began in Cabot, Vermont, in 1919. Our traditionally crafted dairy products have won every award for taste, including best butter. We operate creameries in three states including a cream churn for this butter in West Springfield, MA. Thank you for choosing Cabot. Our families are grateful for your support. cabotcheese.coop. Comments welcome: info@cabotcheese.coop. Since 1907. 1, first quality. ©2012 Cabot Creamery Cooperative. 800-622-4000. Caffeine free. Contains quinine. Since 1783. - J. Scheppe. 0 calories per 12 fl oz serving. Consumer comments? 1-866-Schweppes. No refill. Please recycle. Non GMO Project verified. nongmoproject.org. Per Serving: 190 calories; 0 g sat fat (0% DV); 770 mg sodium (34% DV); 0 g total sugars. At Near East, we're inspired by how well the world eats. Our journey began 50 years ago with a single, homemade Armenian rice pilaf recipe. Today, the brand has expanded to a family of hearty grains, blended with vibrant spices and herbs from across the globe. Our simple yet flavorful dishes provide creative inspiration for any meal. This package is sold by weight, not by volume. Contents settle during shipping and handling. We're here to help. Nearest.com or 800.822.7423. Please have the package available when calling. how2recycle.info. Sparkling water with natural flavors plus vitamins, antioxidants and caffeine. Zero-calorie. Zero sugar, carbs or sodium. Contains 3% juice. Also Contains: 13 mg flavonoid antioxidants per bottle; 50 mg green tea extract per bottle; 54 mg caffeine per bottle. Polarbeverages.com. Please recycle. The best tuna. Naturally 98% fat free. High in protein. Find great recipes at: www.chickenofthesea.com. For comments concerning this product call toll-free (844)698-8621 (include code from can). 100% recyclable packaging. Wild caught. Dolphin safe. Heart healthy omega-3 (supportive but not conclusive research shows that consumption of EPA and DHA omega-3 fatty acids may reduce the risk of coronary heart disease. One serving of white tuna in water provides 0.3 grams of EPA and DHA omega-3 fatty acids. See nutrition information for total fat, saturated fat and cholesterol content. The wholesome refresher, just as nature intended. This certified natural spring water is bottled in on of the most modern plants in the U.S.A. filtered and ozonated to insure quality. Guida's Half & Half. Since 1886. Grade A. Ultra pasteurized. 100% farmer owned. Generations have grown up on the quality and great taste of Guida's Dairy. It's been a New England family tradition since 1886. Guida's Half & Half is made with care so it's smooth, creamy, and delicious every time. 100% farmer owned. All proceeds go to dairy farmers and their families. Recyclable only where facilities exist. Visit recyclecarton.com to see if recyclable in your area. www.supercow.com. This entire package is copyrighted ©2014 Guida's Dairy. Excellent source of vitamins A, K, C & folate. USDA organic. Triple washed. Proudly grown by American farmers. Non GMO Project verified. nongmoproject.org. Your purchase supports Olivia's Organics Children's Foundation. Olivia's Organics Children's Foundation: Investing in the lives of children. Olivia's Family Proudly Supports: Autism Speaks. True Blue Ambassador 2015. Autism Speaks is the world's leading autism science and advocacy organization. It is dedicated to funding research into the causes, prevention, treatments and a cure for autism; increasing awareness of autism spectrum disorders; and advocating for the needs of individuals with autism and their families. Autism Speaks was founded in February 2005 by Suzanne and Bob Wright, the grandparents of a child with autism. To learn more, please visit: www.autismspeaks.org. www.oliviasorganics.org. Certified organic by QAI. BPA free. Product of USA. Excellent source of vitamins A, C & iron. USDA organic. Triple washed. Proudly grown by American farmers. Non GMO Project verified. nongmoproject.org. Your purchase supports Olivias Organics Children's Foundation. Olivia's Organics Children's Foundation: Investing in the lives of children. Olivia's Family Proudly Supports: The Greater Boston Food Bank. The Greater Boston Food Bank (GBFB) is the largest hunger-relief organization in New England and among the largest food banks in the country. Each year, GBFB distributes more than 50 million pounds of nutritious food to 550 member agencies (food pantries, community meal programs, youth programs and senior centers) throughout eastern MA. Learn more about GBFB's mission to end hunger in eastern MA and how you can help those who struggle to have enough to eat by visiting: www.gbfb.org. www.oliviasorganics.org. Certified organic by QAI. BPA free. Product of USA. Hood® Half & Half. Ultra-pasteurized. No preservatives. Grade A. Ultra-pasteurized. Satisfaction guaranteed. We welcome your comments and questions. When writing, please include the product size and type along with the date printed on the top of carton. Please write to: Consumer Affairs, HP Hood LLC, Six Kimball Lane, Lynnfield, MA 01940. 2009 HP Hood LLC, all rights reserved. 8.2 x 8.4 in. Extra soft & absorbent. www.kleenex.com. This box is made from 100% recycled paper. Box Tops for Education. www.fsc.org. Mix paper from responsible sources. Sophia onyx. Printed in USA. Made in the USA from domestic and imported material. Guida's Whole Milk. 100% Farmer owned. Since 1886. Vitamin D added. Farm fresh taste. Grade A. Pasteurized. Homogenized. No artificial growth hormones. www.supercow.com. This entire package is copyrighted ©2014 Guida's Dairy. Guida's 2% Reduced Fat Milk. 100% Farmer owned. Since 1886. 37% Less fat than milk. 2% Milkfat. Vitamin A&D. Farm fresh taste. Grade A. Pasteurized. Homogenized. www.supercow.com. This entire package is copyrighted ©2014 Guida's Dairy. New look. Same yogurt. Old world recipe. Protein rich. Live cultures. Questions or comments? 1.877.847.6181. Chobani.com. Grade A. A portion of profits for a better world. 0% milk fat. Only natural ingredients. No artificial flavors. No artificial sweeteners. No preservatives. No GMO ingredients. No gluten. No rBST (According to the FDA, no significant difference has been found between milk derived from rBST-treated and non-rBST-treated cows). Enjoy being good. Extra Goodness! Contains the Following Vitamin Values of Veggies per Serving: 25% vitamin A; 25% vitamin C; 15% vitamin E; 20% vitamin B6; 20% vitamin K. Details on back. Non GMO Project verified. nongmoproject.org. Certified gluten-free. It's all about Lifeitude! At Good Health, we believe the secret to a great Lifeitude, aka loving life to the fullest, is feeling good. The following individual vitamin values found in 1 ounce of Veggie Stix are also found in the following quantities of vegetables: 2-1/2 cups broccoli = 25% vitamin A! (Percent daily value based on 2,000 calorie a day diet) (227 g). 3-1/2 beets = 25% vitamin C! (Percent daily value based on 2,000 calorie a day diet) (287 g). 5 tomatoes = 15% vitamin E! (Percent daily value based on 2,000 calorie a day diet) (615 g). 7 cup spinach = 20% vitamin B6! (Percent daily value based on 2,000 calorie a day diet) (210 g). 2 carrots = 20% vitamin K! (Percent daily value based on 2,000 calorie a day diet) (122 g). Notice the appearance of seasoning on Veggie Straws? It's the Extra Goodness! (aka concentrated nutrients) from richly colored vegetables like red tomatoes, purple beets and orange carrots! No artificial colors. No hydrogenated oils. Facebook: /goodhealthsnacks. Instagram: (at)ghsnacks. RSS Feed: www.goodhealthsnacks.com. Try our other delightful snacks! Veggie Stix. Avocado Oil Kettle Style Chips. Half Naked Popcorn. Apple Chips.